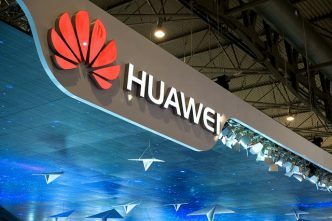 The Australian government’s exclusion of huge Chinese telecom company Huawei from the National Broadband Network in 2012 turns out to have been a little thing hiding a bigger thing. The bigger thing is the implementation of a 5G network across Australia and whether or how Huwaei participates. 5G isn’t just a tag line for the next-generation, faster, more reliable mobile network that’ll connect your smartphone or tablet while you are away from home or the office and give you the bandwidth to watch Netflix on the move. 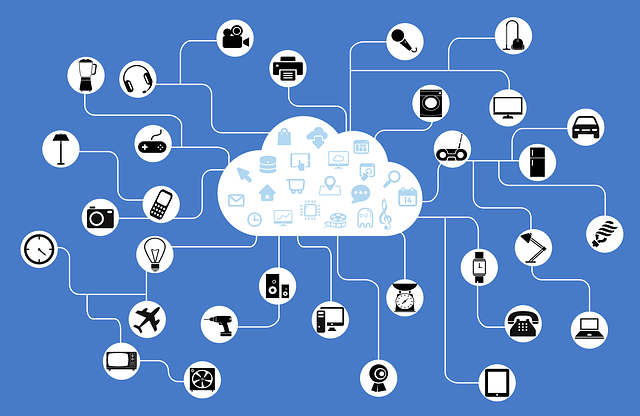 5G technology is the new high-speed, low-latency backbone technology that will enable the ‘internet of things’. It will allow companies to run power plants through internet-connected sensors and control systems. It will enable healthcare data to be shared electronically across multiple portable and fixed devices between patients, doctors, specialists and hospitals. It will enable your fridge to tell Woolworths when you need milk and salsa delivered, and enable you to tell your TV and toaster when to turn on and off. The 5G network makes real the idea that every electronic device can (and increasingly will) be internet-connected. 5G systems are under trial now, with rollouts expected in many countries, including in Australia over the next two years. From a national security perspective, this is big news. Current internet-connected control systems on critical infrastructure—energy, water, and transport systems—mean that cyber intrusion and attacks are already known vulnerabilities. But, to use some cybersecurity jargon, widespread connection of electronic devices to the internet ‘expands the attack surface’ by orders of magnitude. It’s not a case of hundreds of thousands of connected systems; it’s a case of billions of connected devices of myriad types, with very limited security protection, scattered through homes, offices, companies and public spaces. Beyond apocalyptic visions of cyberattacks paralysing nations’ water, energy, health and communications systems lies a set of other national security issues. Let’s pick one of the biggest. Modern army leaders say ‘every soldier’s a sensor’. In the 5G world, every device is a sensor. Connecting formerly mundane devices like TVs, radios, air conditioners and security cameras to the internet creates a dispersed and broad set of sensors and receivers that can hoover up information—as the early, eerie experiences of Samsung TVs and Google Home Mini devices have shown. Recent scandals like the one involving Facebook collecting information on its users through their laptop cameras give an inkling of what can be learned by listening in on people as they go about work and life. To quote a Silicon Valley figure, Tim O’Reilly, ‘The guy with the most data wins.’ Companies that control and provide 5G networks will have a privileged position on top of the world’s data, with the networks and sensors able to be used—legally or illegally—not just to move but also to collect other people’s information. So, it matters who provides these future networks and their software and hardware. This is an issue of privacy, sovereignty, security and public safety. Which brings us to Huawei and a story of unhappiness, insight, dogged determination and now, role reversal. Twenty years ago, the Chinese Communist Party leadership wanted to buy internet routers and networks and computer operating systems. When they looked at the world market they were unhappy. Cisco and Microsoft dominated. Those Chinese leaders didn’t like the idea of being beholden to big US corporations, partly because they didn’t like monopoly suppliers and partly because they didn’t like the reach into Chinese systems and information holdings they thought those suppliers gave the US government. Powerful people don’t like to be unhappy, so they acted to change the situation. The party has nurtured, funded and protected a set of Chinese high tech ‘national champions’—a key one being Huawei—with the goal of not just removing China’s dependency on foreign telecommunications providers, but on making others dependent on Chinese providers and technology. Commercial success and the furtherance of Chinese state interests are deeply entwined in modern ‘Team China’—see Elsa Kania’s recent article showing how Chinese law requires cooperation on ‘intelligence work’ as an example. 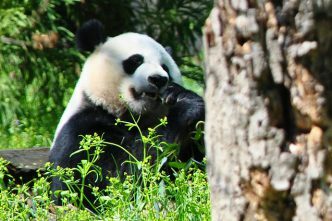 We now have European, US and Australian political and corporate leaders in the ironic position of facing the same unpleasant landscape that China’s leaders faced 20 years ago, particularly given that Huawei is likely to be the only tech provider of an end-to-end 5G solution, no doubt at a knock-down price. Fortunately, there are two major differences between now and then. The first is that Huawei is not in the dominant position that Cisco was 20 years ago (but it’s moving towards dominance through market penetration). The second major difference is that there are numerous capable telecommunications and other high tech–sector firms with the capacity to participate in next-generation systems and software—so it’s not the ‘cold start’ China had to make 20 years ago. As I noted in my earlier article, Chinese tech firms haven’t grown through unique business savvy and simple entrepreneurship. They’ve been enabled and protected by the state over the years. This support is deepening through state investment, subsidies, tax breaks, preferential loans, export subsidies and guarantees to ‘national champions’ like Huawei. 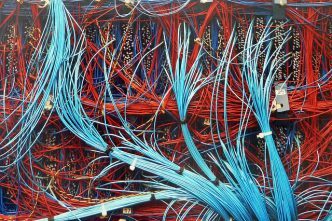 It’s complemented by very active programs to access European, US and Australian research and development on telecommunications technologies and emerging key areas like artificial intelligence and machine learning. This is the behaviour of a ruthless stakeholder in the international economy, using all means— policy, regulation, commerce and intelligence—to obtain a dominant advantage in global communications and as a telecommunications provider. It’s time to realise this and act accordingly. Open market access and limited supervision of major takeover proposals of Australian firms through the Foreign Investment Review Board is clearly insufficient. It’s as if Australian authorities are using a colander as an umbrella in a thunderstorm. Two main responses seem to be open to European, US and Australian policymakers. Huawei is seeking to partner with various nations’ domestic telcos to roll out 5G networks. In the immediate term, the simple principle of reciprocity could be applied to Huawei and other Chinese ‘tech champion’ firms. Chinese hardware and software providers could and should be made subject to the same constraints, obstacles and forced technology transfers that Western firms face in doing business in China’s market. As part of this, Huawei could be a welcome partner of European, US and Australian firms on the condition that it shares all of its intellectual property and source code for 5G systems with local partners and transfers that technology to its local partner firms. Huawei could also be obliged to fund its partners’ adoption and development of the transferred technology in order to move beyond legalistic compliance to real transfer of knowledge and capability. Australia’s strengthened telecommunications sector security powers can help here. What might appear in an open economy like Australia’s to be an outrageous demand for proprietary ‘crown jewels’ is just the price of doing business in China. So let’s be fair. 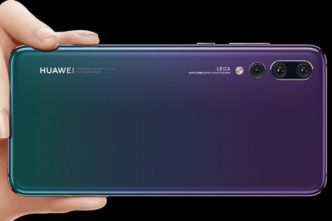 If this means Huawei becomes less interested in rolling out its proprietary systems in Australia and elsewhere, so be it. The second, much more important, response is to take a lesson from those Chinese leaders of 20 years ago. Instead of accepting the inevitability of living in an electronic world dominated by US technologies and providers, they acted to create change. Australian, US and EU leaders similarly need not resign themselves to living in a world of proprietary Chinese telecommunications technology nurtured by the Communist Party and able to be used to advance its interests. The distribution of high-technology firms with relevant patents for 5G and future-generation communications technologies across Europe and North America is reasonably broad (notably firms like Nokia, Ericsson, Cisco, Qualcomm, Intel and InterDigital). It’s well within the competence of our governments’ policy and decision-makers to create policy and regulatory settings that encourage such firms to partner with start–ups, and for tech giants like Amazon, Apple and Google to provide competing communications system options. These policy and regulatory steps need to strengthen the connections those firms have with universities pursuing research and development in these technologies. Again, China provides a ruthlessly effective model. Australia’s Defence Trade Control legislation has relevant tools here for limiting Australian research being used in ways that aren’t in our national security interests. Such policy and regulatory incentives also work well with the various national drives to ‘Make (insert your country’s name here) Great Again’. It’s time for some urgency and some action. Michael Shoebridge is director of the defence and strategy program at ASPI. Image courtesy of Pixabay user jeferrb.